Board of Directors Meeting and Tour of the College of Fine Arts at Western Michigan University in Kalamazoo. Transportation departs the Amway Grand Plaza Hotel to Western Michigan University at 2: 30 p.m.
For 19 days in the early fall, over 400,000 visitors descend upon three square miles of downtown Grand Rapids, Michigan where anyone can find a voice in the conversation about art and why it matters. Art from around the world populates every inch of downtown in nearly 200 venues, and it’s all free to the public. Ultimately, two $200,000 grand prizes and eight category awards prizes totaling $500,000 are awarded, with half of the prize money decided by smartphone-enabled public vote and half decided by a jury of art experts. It's unorthodox, surprising and delightful - sometimes confounding and infuriating - yet undeniably intriguing to the art world and the public alike. Explore the nearly 200 venues that seek to join the citywide collaboration that showcases Grand Rapids, Michigan to the entire world. Click here for the complete list of venues. During ArtPrize, the general public plays a part in deciding who takes home cash prizes. Please register to vote at ICFAD’s registration table. Using mobile devices and the Internet, you help determine the winners. The gallery space at Western Michigan University’s downtown campus is deemed a “location not to miss” during ArtPrize. The renovated 5-story historic building is located on the well-trafficked southwest corner of Cherry and Ionia in the energetic Heartside District and is operated by Western’s Extended University Programs division. Its exposed brick and beam construction offers a unique setting to showcase works of art in a number of different display formats. Artwork created by WMU faculty, alumni, students, emeriti faculty and select guests will be on display at this venue throughout the ArtPrize competition. In addition to serving as an ArtPrize venue each fall, this exceptional facility features a cyber cafe, a multi-functional Grand Hall, classrooms, a computing lab for online research, a compressed video/distance education classroom, and offices for faculty, advisors, and administrative staff. The Center for Counseling and Psychological Services, a community based counseling clinic, is also housed at the Downtown location. While numerous restaurants are in walking distance, The Big Old Building (BOB) is a block away and houses several restaurants, live jazz, a cigar lounge, a microbrewery, a comedy club, a dance club, a billiards hall, and a wine bar. Constructed in 1903 as Judson’s grocery warehouse, the 70,000-square-foot, four-story, red brick building stood vacant for decades before The Gilmore Collection began its transformation, saving it from demolition. The BOB is a popular ArtPrize venue. GRAM is one of the premiere ArtPrize venues in downtown Grand Rapids. Centrally located in the heart of the city, GRAM is known for hosting some of the strongest work in this international art competition; Public Vote Grand Prize winners in 2010, 2012, and 2014, and the Juried Grand Prize winner in 2014. GRAM was also shortlisted for the honor of Best Venue in 2013 and 2014. Focusing on art, design, and creativity, GRAM provides diverse platforms for experiences, ideas, and dialogue that enrich the human spirit and build practical learning skills. Through dynamic exhibitions, collections, learning initiatives, and community collaborations, GRAM serves as a cultural beacon and civic anchor. The Museum is internationally known for its distinguished design and status as the first LEED® Gold certified art museum in the world. Embracing the city’s legacy as a leading center of design and manufacturing, GRAM has a growing collection in the area of design and modern craft. Arts entrepreneurs create. While creating opportunities, jobs, culture, products and services, they help drive our economy. Whether used to create a for-profit business, a nonprofit or a "business of one," arts entrepreneurship techniques will increase artists’ chances of making a living in the arts. On their own, neither artistic nor entrepreneurial techniques are enough to sustain a career in the arts. But when both are developed simultaneously, students dramatically increase their chances of developing their professional opportunities and of consistently working through personally meaningful pursuits. In June of last year, Americans for the Arts launched a new program called Transforming America’s Communities. The core essence of this work is around their New Community Visions Initiative (NCVI). This multi-year initiative began with the conducting of research about the arts in American civic life. They found that there were 30 distinct areas where the arts intersected, and could either enhance good work happening or mitigate challenges in society. Staff published these essays as part of the book “Arts and America.” Throughout 2016, think tanks around the country are eliciting conversations in response to this work, ultimately resulting in the release of a series of books about the arts and community development, artists and arts organizations as central to the work. The Knight Foundation shares a belief that shared cultural experiences contribute to a sense of place and communal identity. Through funding, the Knight Foundation seeks to weave the arts into the fabric of communities to engage and inspire the people living in them. They seek innovative ways to reach, engage and increase audiences for the arts, including through the use of technology. Over a three-year period, Knight funded 1,000 “Random Acts of Culture” to bring artists out of the performance halls and into people’s everyday lives. As a way to solicit fresh and innovative ideas, the Knight Arts Challenge was launched as an open call for ideas that is now in Detroit, Miami, St. Paul, Minnesota and Akron, Ohio. The challenge seeks to find and fund the best ideas for the arts. Winners range from individual artists to large institutions. Arts, culture, creativity and design can play a significant role in the transformation of a city, a fact that we are seeing first-hand in Detroit. Quicken Loans and its Family of Companies are committed to driving transformation in Detroit that helps shape a city that welcomes people from all walks of life to live, work, and play. By initiating public art and innovative space activation throughout our downtown footprint, we are working to enhance the experiences of both visitors and residents alike. These enhanced experiences help to drive asset values, stimulate economic growth, create job opportunities and position Detroit as a model city of opportunity. You will have the opportunity to attend three, 20-minute sessions (with five-minute breaks for transition, between) on one of the topics listed. 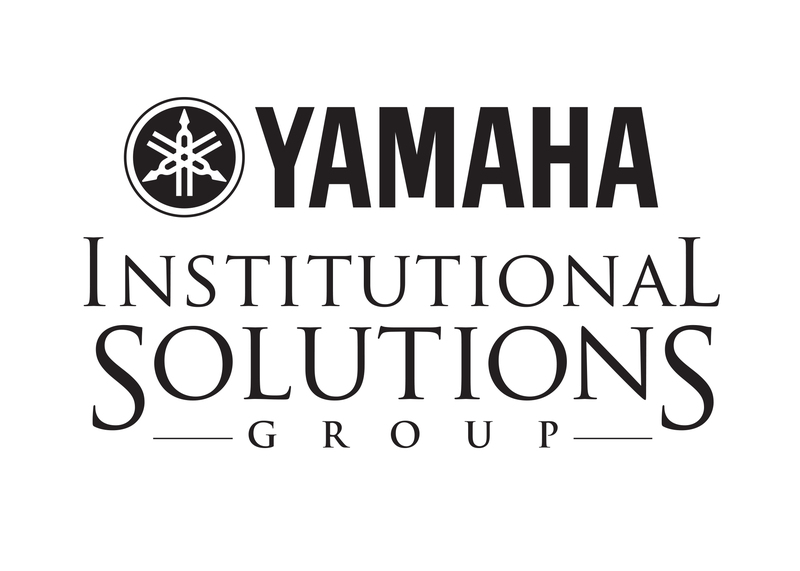 Please click here to see the complete list of Roundtable Presentations scheduled for the 53rd Annual Conference. Ranked in the top 100 most-visited art museums worldwide by Art Newspaper, the leading publication in global art news, Frederik Meijer Gardens & Sculpture Park has grown to become an international destination. The sculpture program features more than 200 works in the permanent collection sited both indoors and outdoors on the 158-acre main campus. The permanent collection focuses on works by established and emerging sculptors from the Modern tradition to the present. Earliest works date to the second half of the 19th century with masters such as Carrier-Belluese, Degas, and Rodin. Starting with these masters, the comprehensive presentation includes sculptors from the late 19th century to the present. Three temporary exhibitions are also developed annually, most curated by and for Meijer Gardens. These special exhibitions are shown within the large indoor galleries and associated indoor and outdoor spaces. The sculpture exhibition program is dedicated to sculpture traditions of all periods and exhibitions have ranged from large-scale presentations of modern masters such as Rodin, Picasso, and Moore to contemporary masters such as George Segal, Oldenburg and van Bruggen, di Suvero, Caro, and Richard Hunt. 5:45, 6:00 and 6:30 p.m. Guests may bring a drink in disposable barware on one of three 40-minute tram tours, departing at 5:45, 6:00 and 6:30 p.m. Each tram can accommodate 44 passengers. We respectfully request your teamwork in ensuring that an equal number of members enjoy each of the three tours. Please walk through the ArtPrize exhibits at this special venue, and enjoy our Reception, until 7:00 p.m.
Do enrollment trends keep you up at night? What do you tell prospective parents and students about job prospects in the arts? Thanks to the Strategic National Arts Alumni Project (SNAAP) and more than 300 participating institutions, there are data that can inform us about employment trends and overall satisfaction of people with degrees in visual art, music, theater, dance, design, and creative writing. This session will include information on trends in arts enrollment and the latest findings from SNAAP. In 2014, the College of the Arts at Kent State University joined together with the city of Kent, OH to discuss a possible collaborative arts festival that would center on the transformative nature of art making and participatory art experiences in the community. The result was the creation of The Kent Creativity Festival which provides an opportunity for people of all ages and skill levels to come together to create, share and explore the creation of all forms of art. Creative activities engage and inspire visitors to explore their own creativity and participate in the joy and transformative power of making art and sharing it with others. The inaugural festival took place on September 24, 2016. This presentation describes how we did it and the outcomes we experienced with our goal of engaging the community and region in the arts. Eames Demetrios is an artist and storyteller who has been working since 2003 on a global work of multi-valent storytelling called Kcymaerxthaere. (Not coincidentally, Kcymaerxthaere is also the name of a parallel universe that intersects with our world and has its own stories, laws of physics, and the like.) As of June 2016, Demetrios has installed 123 markers and historic sites in 26 linear countries—each telling a piece of the story. It is like a novel with every page in a different place. Some of these installations are a single marker, others are much bigger (as examples: a 6000 square foot site in Armenia or one 150 yards long in Indiana). Appropriately for this conference, Demetrios participated in both the first and third ArtPrizes—installing 5 sites in Grand Rapids one year and doing a temporary installation at Grand Rapids Art Museum the other (it was help over for several months). He’ll share his ArtPrize experiences and observations (he’s a fan)—and offer a visit to a couple of the sites Saturday morning for interested attendees. He’ll also give a sense of the stories that he tells and share some of his many different experiences during the more than 13 years he’s been installing these works. At first glance this project may seem geared towards the cultural tourist, but it is very much locally facing as well. Indeed, the goal is for most of the world’s population to be within a day’s drive of a site—since seeing a single site crosses a threshhold of meaning as important as seeing many of them. In fact, one of the common threads is the intriguing and empowering fact that through Kcymaerxthaere, communities around the world are thereby connected not by commerce, faith or politics—but simply art and story. Trans-socialist, late-socialist, and / or trans-revolutionary Cuba has opened the window for the world to peer in and discover Cuban music and artistic production from different academic perspectives. Cuban artists (including those living in the Cuban diaspora) are extraordinary producers of original and creative works. The strong transnational nature of Cuban cultural products, in the sense of their being both influenced by external factors and also influencing cultural production elsewhere in the world, particularly in the Caribbean and the United States, is respected worldwide. Click here to see the candidates running for officers and directors, and the ballot to be used for election. 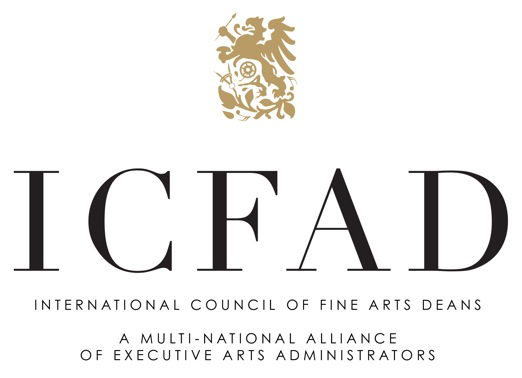 The International Council of Fine Arts Deans will be honoring Rick DeVos with its Award for Arts Achievement and Excellence at its 53rd Annual Conference in Grand Rapids, Michigan. The award is designed to recognize individuals who have demonstrated significant advancement or support of the arts on an international, national or regional scale. In this inspiring session, Aaron Dworkin shares his personal story, which led to founding the Sphinx Organization, whose mission is to transform lives through the power of diversity in the arts, and ultimately serving as dean of the University of Michigan's School of Music, Theatre & Dance. He'll delve into the important role the arts play in society, as well as their associated value and impact in communities. He'll also share strategies surrounding the vision of relevance and inclusion at Michigan and how it is being implemented among a wide breadth of constituencies. Gather in the hotel lobby for a walking tour to the campus of Kendall College of Art and Design of Ferris State University (KCAD). This tour will include a visit to KCAD's Woodbridge N. Ferris building and ArtPrize exhibition. Following this tour KCAD will host a reception at it's Urban Institute for Contemporary Arts (UICA). Tour the KCAD's Woodbridge N. Ferris building. KCAD received LEED Gold certification and a Governor’s Award from Governor Rick Snyder for the preservation and restoration of this historic federal building. After enjoying the architecture and restoration of this building be sure to visit The Fed Galleries @ KCAD, located on the building's ground floor to view KCAD's ArtPrize exhibition. Meet in the lobby of the Woodbridge N. Ferris building and walk together to the UICA to enjoy UICA's ArtPrize exhibition and a reception hosted by KCAD. Reception hosted by KCAD at UICA (2 Fulton St). 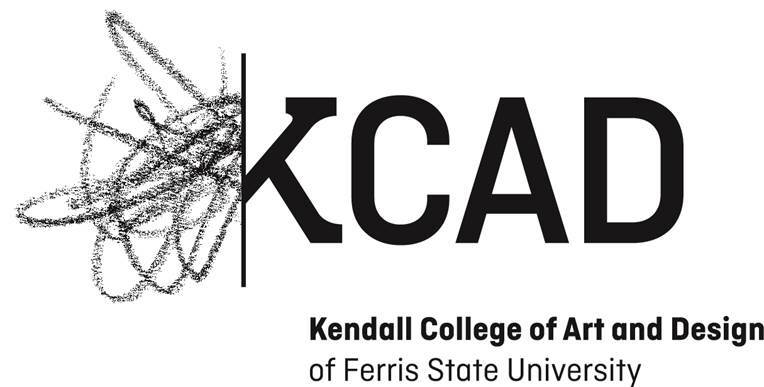 As a college within Ferris State University, Kendall College of Art and Design (KCAD) prepares students for leadership in the visual arts, design, art history, and art education; provides innovative, collaborative education that fosters intellectual growth and individual creativity; and promotes the ethical and civic responsibilities of artists and designers, locally and globally. In 2013, Urban Institute for Contemporary Arts (UICA) merged with KCAD. This partnership allows UICA to operate as a wholly-owned subsidiary of KCAD. UICA builds creative community by fostering new forms of expression, promoting collaboration, and providing genuine experiences with contemporary art. Through compelling exhibitions, events, community programs, and youth development, UICA actively challenges both artists and audiences to new levels of dialogue, creative pursuit, reflection, and illumination. UICA initiates conversation in response to visual art, music, film, literature, dance, and performance art featuring regional, national, and international artists. UICA features gallery exhibitions of work from regional, national and international artists throughout the year. UICA also hosts a range of dynamic events including concerts, performance art, artist receptions, gallery talks, an annual Holiday Artists’ Market, and other programs that nurture a creative community. UICA’s 195-seat film theater shows independent cinema, foreign films, and documentaries six days a week. St. Cecilia Music Center is the oldest arts organization in the region and serves as the music hub during ArtPrize. Featuring the Terryberry Gallery of visual art as well as live performances and listening stations for musical entries, St. Cecelia is a historical landmark and ArtPrize venue that you’ll want to tour. Faculty quartet: The Western Jazz Quartet is a resident faculty ensemble in the School of Music at Western Michigan University. Formed in 1974, the quartet combines performing and teaching with uncommon success as they promote jazz music and jazz education through a very active schedule of tours, concerts and workshops. Student jazz quartet: The Jazz Studies Program at WMU has gained international recognition for its innovative approach to jazz education. Graduates of the program are among today’s leaders in jazz and pop performance, Broadway, recording studio production, writing, arranging, singing, and music education. The Gold Company: Gold Company is widely recognized as one of the most successful and prestigious collegiate vocal jazz programs in the world. The ensembles perform a wide variety of repertoire which covers all styles in the contemporary vocal idiom. Also on Friday evening: ArtPrize Awards Banquet broadcast live on local television and available on big screens at various venues throughout the city. 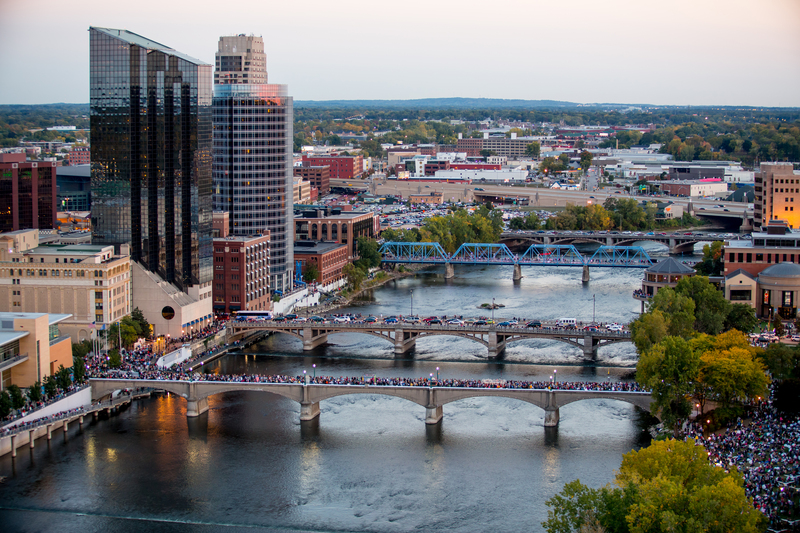 Grand Rapids is still bustling with visitors coming to see the ArtPrize winners. Stay and enjoy ArtPrize on your own, this weekend, and be sure to see the winning entries. Task Force Chairs are respectfully requested to bring a one-page handout summarizing goals for the new year. These will be posted on the ICFAD website, post-Conference. Join ArtPrize Director of Exhibitions Kevin Buist on the morning after the ArtPrize Awards Ceremony to hear his thoughts about this year’s crop of Category Award and Grand Prize winners awarded by Public Vote and Expert Jury.